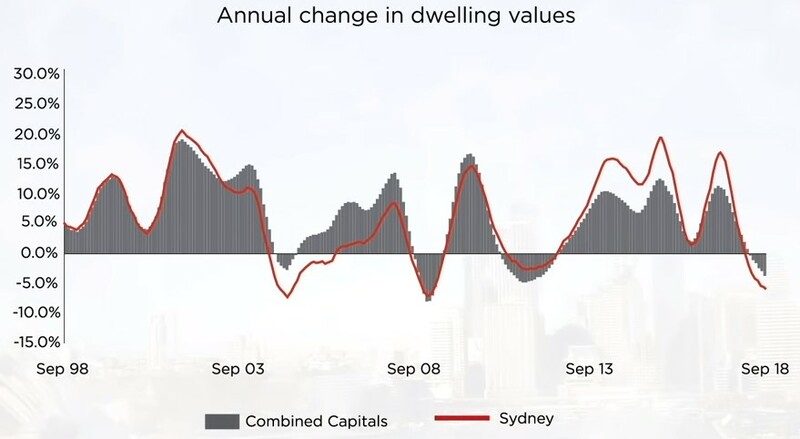 Sydney is leading the national downturn, with dwelling values 6.1% lower over the past twelve months. Core Logic has released their newest housing market update for October 2018. Housing values have been falling consistently since July last year, with larger declines evident for house values, which are down 7.6% compared with a 2.6% fall in unit values. As the market slows, buyer activity has reduced by 18.5% over the past twelve months. With advertised stock levels 22% higher than a year ago and fewer buyers, the average selling time across Sydney has risen to 52 days compared with 37 days a year ago and auction clearance rates are consistently tracking around the hihgh 40% to low 50% range.